Who Has Cheap Insurance for a Ford Explorer in California? 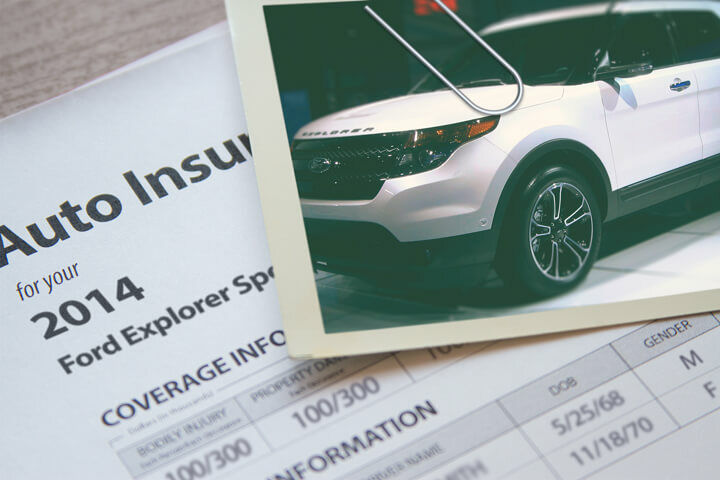 Buying cheaper car insurance for a Ford Explorer in California hinges on a complicated equation that takes into consideration things like how many miles you drive each year, whether you have good credit, and your choice of deductibles. Drivers in California will pay around $1,350 annually to insure their Explorer, but that figure is a valuation using rate data for a 30-year-old married male driver that has full coverage including both comprehensive and collision and $250 physical damage deductibles. There is a very good chance that you aren’t exactly 30 years old or even a male, maybe you are single instead of married, or maybe you had a chargeable driving offense. Each driver’s needs are different, and that demonstrates why the way we recommend to find the cheapest rates for your Ford is to comparison shop your policy at each renewal. In just a couple of minutes you will be able to compare rates from the best companies that insure vehicles in California. Your Ford’s trim level can impact the annual cost of coverage, so the price to insure a Explorer XLT 2WD model will be $148 less expensive the price to insure the more costly Explorer Limited AWD model, as shown in the chart below. Premium data assumes married male driver age 30, no speeding tickets, no at-fault accidents, $250 deductibles, and California minimum liability limits. Discounts applied include multi-policy, claim-free, multi-vehicle, homeowner, and safe-driver. Table data does not factor in garaging location in California which can decrease or increase auto insurance rates significantly. Ending up with a high-quality insurance company can be challenging considering how many different insurance companies sell coverage in California. The ranking data in the next section can help you choose which coverage providers to look at comparing prices from. These rankings are only made up of companies that insure vehicles across America, so smaller companies that only insure vehicles in California are not included in this list. The easiest method to obtain cheap car insurance rates in California for an Explorer is to drive safely and avoid at-fault accidents and violations. The chart below illustrates how traffic citations and at-fault accidents can drive up annual premium costs for different categories of driver ages. The price estimates are based on a single female driver, full coverage, $100 deductibles, and no other discounts are factored in. The chart shows that the average cost of an auto insurance policy in California per year with no violations or accidents is $2,633. Get written up for two speeding tickets and the average cost rises to $3,536, an increase of $903 each year. Now get two accidents along with the two speeding tickets and the yearly cost of car insurance for a Ford Explorer goes up to an average of $6,822. That’s an increase of $4,189, or $349 per month, just for not driving attentively! Insurance companies that provide cheap insurance for a Ford Explorer in California could also offer price discounts that could reduce prices by as much as 35% if you meet specific criteria. A list of car insurance companies and a selection of discounts are detailed below. State Farm has discounts for driver’s education, safe vehicle, good driver, student away at school, multiple policy, and passive restraint. Esurance may include discounts for defensive driver, emergency road assistance, online quote, Switch & Save, and safety device. Progressive policyholders can earn discounts including multi-policy, good student, online quote discount, online signing, continuous coverage, multi-vehicle, and homeowner. Liberty Mutual may have discounts that include new graduate, multi-policy, new move discount, preferred payment discount, and good student. Auto-Owners Insurance discounts include company car, safe vehicle, good student, teen driver, air bags, student away at school, and mature driver. GEICO offers premium reductions for multi-policy, seat belt use, military active duty, daytime running lights, air bags, and driver training. The information below illustrates the difference between car insurance costs with and without discounts applied. The information is based on a male driver, no violations or claims, California state minimum liability limits, comp and collision included, and $100 deductibles. The first bar for each age group shows the average rate with no discounts. The second bar shows the rates with vehicle safety, passive restraint, homeowner, multiple policy, defensive driving course, and marriage discounts applied. When discounts are factored in, the average savings per year on car insurance for a Ford Explorer is 28% or $845. When comparing auto insurance, the first places to look would be Progressive, State Farm, Geico, and Allstate. They all have the same basic coverages, but each one has a distinct set of features and optional coverages that may steer you one way or another. The following table ranks ratings for price and service, as well as some optional coverages that may be available in California. The list below summarizes some penny-pinching suggestions that can help California drivers find cheaper coverage. That last idea is extraordinarily crucial, as we hit on in this write-up. Coverage prices fluctuate considerably, so drivers shouldn’t be resistant to switch carriers if you find a cheaper price. Having a favorite company is fine, but it isn’t a good idea if that inflexibility results in costing you a lot of money every month. Now is a great time to compare prices to find cheaper insurance for a Ford Explorer. Who has the cheapest Ford Explorer insurance quotes? Thanks to technology, there are a lot of ways to shop around for car insurance in California, but the most prevalent ways are through a captive (or exclusive) agency such as Allstate or State Farm, a non-exclusive or independent agent, or from a direct company like Geico or Progressive. Each way is similar, but they are slightly different in how they price policies. Independent insurance agents have contracts with many companies and can get rate quotes from every one. Agents of this type do not sell for just one brand and can give you a larger rate selection, which can give you the best idea of how your rates compare. If they find a cheaper price, they simply move your policy to a different company without you having to go to a different agency. An exlusive, or captive, agency is only able to quote your policy with a single insurance company, for example an Auto-Owners or Allstate agent. Exclusive agents generally are unable to shop your coverage around, so if finding the cheapest car insurance is your goal, you will want to shop around. Buying from a direct company means do not use a local agent and instead shop direct online or over the phone from a company like Geico or Esurance. This car insurance option is a good choice for consumers who do not have a complex risk profile and have knowledge of the limitations of their policy. So comparing independent agents, exclusive agents, and direct, which one works best to buy cheap insurance for a Ford Explorer in California? It would be easy to say buying from a direct car insurance company results in the cheapest price because you bypass the agent, but in reality, that is not the case. A good argument could also be made that using an independent agent can save the most money because you have more choices, but that’s not always true, either. In some circumstances, exclusive agencies have really good rates that other car insurance companies cannot touch. Due to that fact that car insurance uses so many rating variables, the guaranteed way to make sure you’re not overpaying for car insurance is to do a thorough rate comparison. The best approach is to get quotes from all three to have the best selection of rates to choose from. A great place to start is our list of online companies offering discounts: click here to view.